“But now the righteousness of God has been manifested apart from the law…the righteousness of God through faith in Jesus Christ for all who believe” (vv. 21–22). Lutheran theology is well-known for the sharp antithesis it draws between law and gospel. This finds its root to some degree in the teaching of Luther who emphasized what is often called the “pedagogical” use of the Mosaic law, its use as a schoolmaster to accuse us of sin that we might look to Jesus to save us. Christians in the Reformed tradition typically see more continuity between the covenants, but this use of the Law is biblical and a major part of the Reformed heritage. Often this use is based on Galatians 3:19–29. This use of the Law can certainly be derived from this passage, although it is more of a secondary application when it comes to the Law’s use among Gentiles, since the apostle is talking chiefly about Israel’s experience with the oracles of God. Perhaps a better place to go are the first few chapters of Romans wherein Paul discusses the role of natural law in condemning Gentiles alongside Jews who face the same condemnation at the hands of the Mosaic law (1:18–3:20). In any case, the Lord’s commandments serve both to make the non-Christian aware of his sin that he might trust in Jesus and to convict the Christian of his remaining sin that he might return to the cross repeatedly for cleansing, reaffirming his utter inability to save himself. That such a use of the old covenant law is defensible is found in Paul’s statement in Romans 3:21–31 that the only way the sinner convicted by God’s law can be justified is through the imputation of the righteousness of Christ. 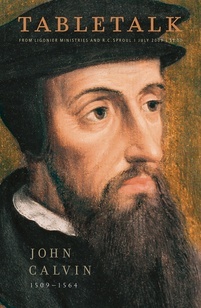 Consequently, the proclamation of God’s law should be a regular part of the preaching, for by hearing the Law the believer will be reminded of his need for the gospel, and any non-Christian present for the sermon will learn that he is under the righteous judgment of the Creator and must therefore trust in Jesus. But God’s law must never be preached apart from the gospel. If this is done, we end up reducing Christianity to moralism, giving the message that people can by their own efforts do the right thing. We must never forget that the grace of God sets us free to love and serve him (Gal. 5:1), and so this grace must always be preached as well. Without the gospel, the Law is an impossible burden. Our relativistic age does not like to hear that there is an eternal, unchangeable law that convicts all people. But the central message of the gospel is that we have broken this law and need to be reconciled to God, the great Lawgiver. If we do not know His law, however, we cannot tell people the bad news that they are estranged from God, and if we cannot preach the bad news, how can we preach the good news of salvation?